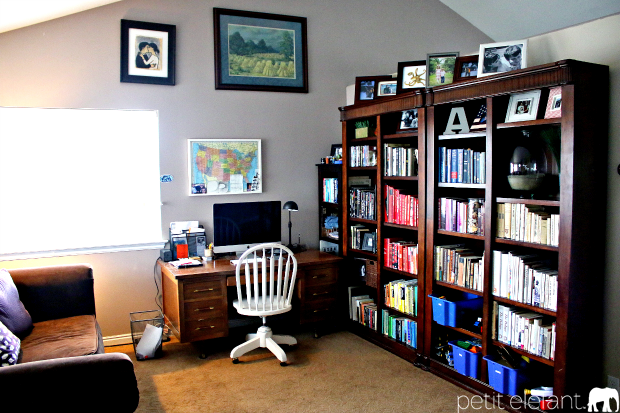 Our study redesign is finally finished! 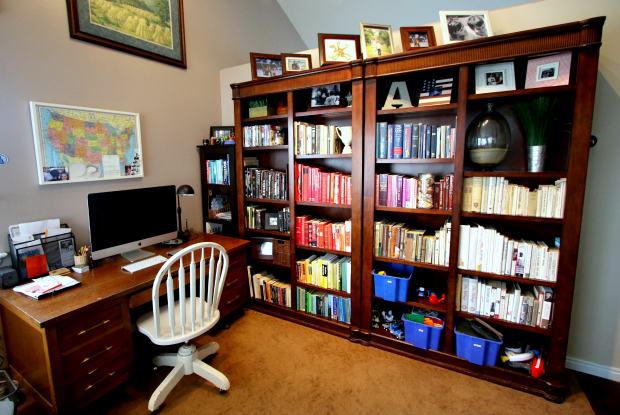 But before I show you the new study, I wanted to give you a peek at the before photos of the old study before I do a reveal of the after photos. Our study was perfectly lovely before the current redesign, but awfully brown, on brown, on brown, on BROWN and I was ready for some light. 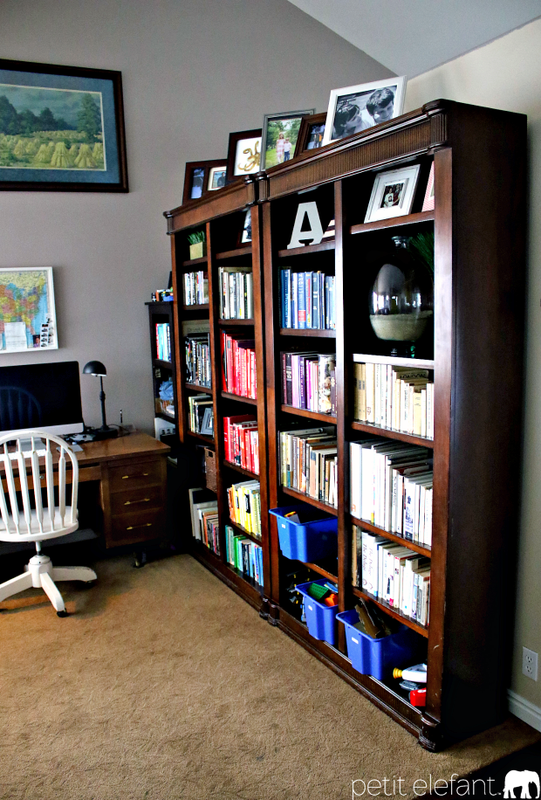 We put the study together on a major budget, as we did most of the house, when we first moved in 13 years ago, and it has evolved over the years as our family has evolved. 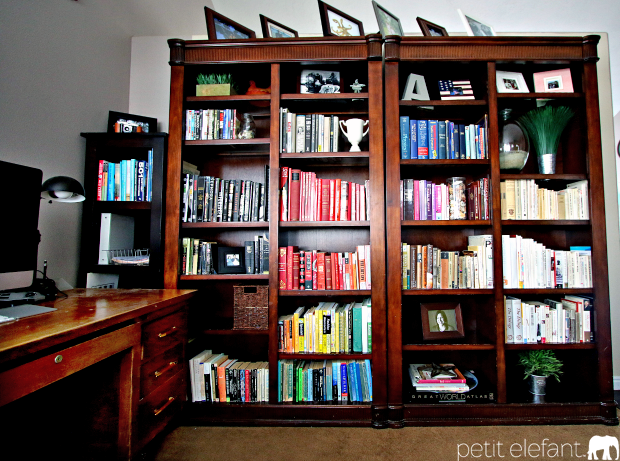 And when I say budget, I mean this: we majorly splurged on the bookcases at Costco for $600 (that was a lot of money for us 13 years ago. it still is. ), bought the mid-century modern desk at a garage sale for $30, the rolling office chair for $5 at a different yard sale, inherited the sofa from a rental unit we manage, bought the lamp at Costco and the light fixture (not pictured) at IKEA. Even the carpet was a remnant piece given to us by our neighbors who have a flooring business. 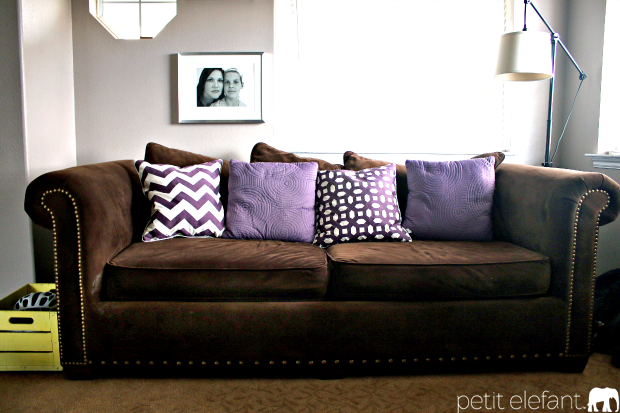 All the random decor and sofa pillows were purchased on sale at Target, TJ Maxx, Ross, and various thrift stores or garage sales, and most of the picture frames are from IKEA. The study worked out really well for more than a decade, until I got used to the glorious grey of our newly redesigned master bedroom and remodeled master bath, and now I want grey everywhere. Grey is so serene and calm, and is the perfect backdrop color for almost any design. And because I’m obsessed with it now, we’re re-painting several rooms in our house grey, one room at a time. 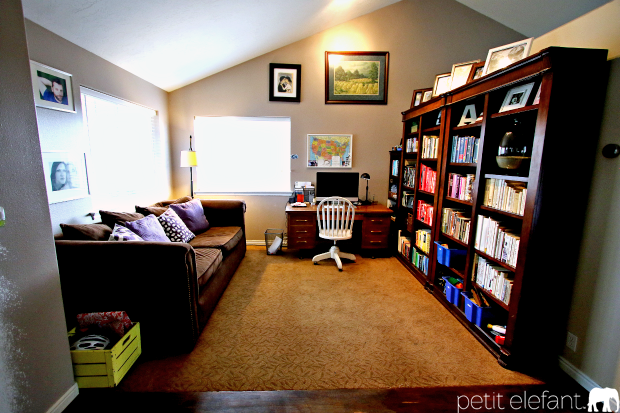 It’s kind of a problem, wanting to re-do your house all the darn time. But! But. 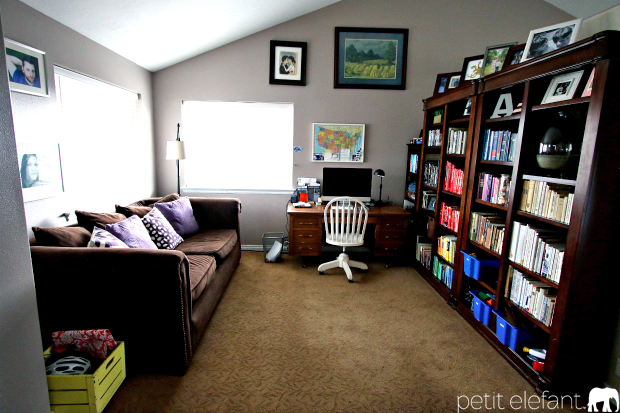 Once you see the after photos of the study redesign, you’ll totally be with me. It’s sophisticated and calm and, well. I’ll just leave this here for now and tomorrow you can see what I mean about the redesign. I can’t wait! The new interior, looks great, especially the carpet, makes people feel very energetic and lively.